Smokers who've received a clean bill of health from their doctor may believe cigarettes haven't harmed their lungs. However, a new study by researchers at Weill Cornell Medical College has found that even smokers who seem healthy have damaged airway cells, with characteristics similar to cells found in aggressive lung cancer. The study, published today in the journal Stem Cell, compared cells that line the airway from healthy nonsmokers with those from smokers with no detectable lung disease. The smokers' cells showed early signs of impairment, similar to that found in lung cancer -- providing evidence that smoking causes harm, even when there is no clinical evidence that anything is wrong. "The study doesn't say these people have cancer, but that the cells are already starting to lose control and become disordered. The smoker thinks they are normal, and their doctor's exam is normal, but we know at the biologic level that all cigarette smokers' lungs are abnormal to some degree." said the study's senior investigator, Dr. Ronald G. Crystal, chairman and professor of genetic medicine at Weill Cornell Medical College. The researchers found that in the cells lining the airways of the smokers's lungs, human embryonic stem cell genes had been turned on. These are genes that are normally expressed in developing embryos -- soon after eggs are fertilized -- before cells are programmed with their specific assignment. 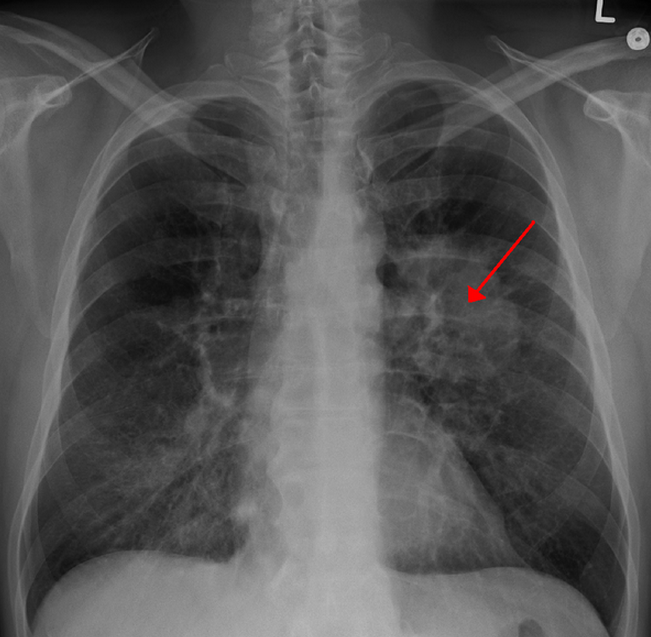 This gene is also "on" in the most aggressive, hard-to-treat lung cancers. "We were surprised to see that the smokers were expressing these very primitive human embryonic stem cell genes. These genes are not normally functioning in the healthy lung" Dr. Crystal says. Healthy lung cells, like all of the body's cells, have very specific assignments. Although all of the body's cells contain the same genes, genes are only "turned on" for each cell's defined task. Therefore, healthy lung cells only express genes related to lung function, while brain cells express brain-specific genes. "Healthy cells are very tightly controlled. Normal cells have rules and only do certain things,"In cancer, that control is lost." said Dr. Crystal. This loss of control allows cancerous cells to multiply without restraint and enables them to migrate to other organs because the genetic programming that keeps them on task is in disarray. The study found that smokers' cells were in the very early stages of losing this control. "When you smoke a cigarette, some of the genetic programming of your lung cells is lost. Your cells take on the appearance of a more primitive cell. It doesn't necessarily mean you will develop cancer, but that the soil is fertile to develop cancer", says Dr. Crystal. In the study, 21 healthy nonsmokers were compared to 31 smokers who had no lung disease symptoms and had normal X-rays as well as normal chest examinations. All individuals were evaluated at Weill Cornell's Clinical and Translational Science Center and Department of Genetic Medicine Clinical Research Facility. By sending a thin tube called a bronchoscope and a fine brush into the lungs, investigators gently brushed the inside of the airways to collect cells from the airway's lining. Researchers examined these cells, called the airway epithelium, which come into contact with cigarette smoke and are where cancer begins, Dr. Crystal says. Routine checkups can mislead smokers into thinking cigarettes aren't hurting their bodies. However, these results paint a different picture. "Physical examinations, lung function tests and chest x-rays are not sensitive enough to pick up these very early changes," Dr. Crystal warns doctors and smokers. "The take-home message is: Don't smoke. Smoking is bad and if you smoke, you're at risk." Additional studies are needed to determine why exposure to smoke causes these changes, so that researchers can pinpoint particular areas for designing treatments. "This study gives us clues about how cells look on the way to developing lung cancer, which can help us develop therapies," Dr. Crystal says. Beyond treatments, Dr. Crystal also hopes the research can lay the foundation for lung cancer prevention. Smoking is an addiction, he says, and despite high taxes and ads describing the dangers, 20 percent of the population continues to smoke. "Eventually, the goal is to develop therapies to protect the airways from cigarettes and other pollutants. Understanding these very early events will give us clues and help us develop ways to protect the lungs." said Dr. Crystal.